In a world where website visitors are growing increasingly impatient, manufacturers have the difficult task of selling complex products and services online. What makes website live chat a lead generation strategy worth adopting? For manufacturers, the search for a consistent strategy to generate leads can feel like a never-ending quest. As an industry, manufacturing can represent many different types of companies. Some manufacturers produce smaller products that require little interaction with the buyer. Others produce complex products that require longer buying cycles. This makes it difficult to find a one-size fits all strategy that will work no matter what the product. 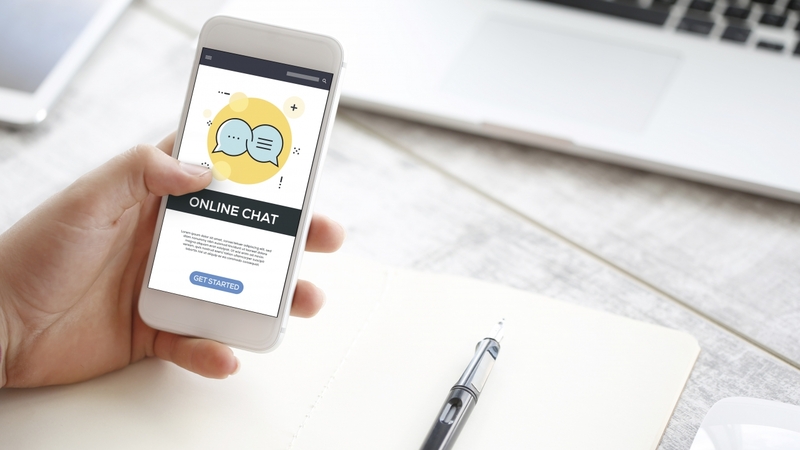 While website live chat has always had the reputation as a solid customer support tool, it is starting to gain traction as an effective strategy for generating leads. Here is how live chat can aid manufacturers in their quest to generate more leads online. You’ll want to make it as easy as possible for your visitors to begin a chat conversation with your company. The vast majority of chat services require the website visitor to enter their name and email PRIOR to the chat starting. This can seriously affect the volume of chats you’ll get. Yes, as a marketer, you obviously want the contact information of the visitor. However, it is much easier to get the contact information during the natural flow of a chat conversation. Unless you are getting way too many chats (a good problem to have in most companies), you’ll want to let the visitor begin a chat session without requiring them to commit any personal information up front. If you want maximum engagement, don’t put a chat button on your website that requires visitors to click to engage. Set up a chat service where you proactively open a chat dialogue box for every visitor. Think of it this way, proactively engaging your website visitors is the equivalent of a sales representative walking up to a customer in a retail store and asking, “May I help you with something?” Moving from reactive chat to proactive chat can lead to a 50 to 100 percent increase in chats. Did you know close to 95 percent of your website visitors leave without you knowing they were even there? In most cases, a website conversion would be defined as a visitor filling out a contact form on a website, or when a visitor calls the phone number on the website. Adding a live chat functionality provides your website with a third conversion tool. Can you imagine a retail store where nine out of ten customers left without buying and no one bothered to ask them what they were looking for? Instead of having visitors aimlessly click throughout your website (the new-age retail store) desperately searching for the information they desire, live chat provides the visitor with personal attention. It guides them throughout the website and answers questions about your products and services.